Happy Wednesday Friends! 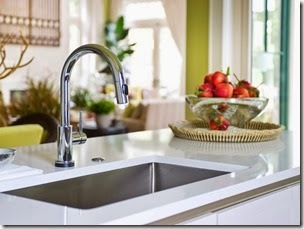 Today I’m sharing with you guys my gorgeous new Delta faucet that I recently installed in our kitchen. Since we moved in to our home last summer, we’ve been making it over… room by room. 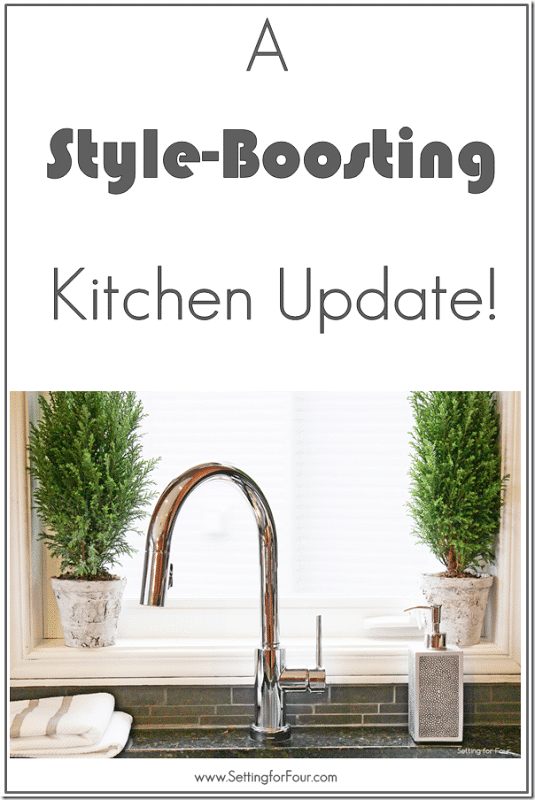 I have lots of upcoming plans for our kitchen and this faucet update has made a fabulous difference and added such a wow factor! The faucet that we had was frankly awful – the finish on it was showing a lot of wear and tear and it wouldn’t turn very well. It had a pullout spout that was really hard to unlock and it really had no ‘style’ at all. I spend a lot of time in the kitchen (don’t we all!) 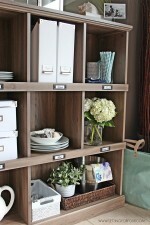 preparing meals and entertaining so I was ready for something more functional and prettier! 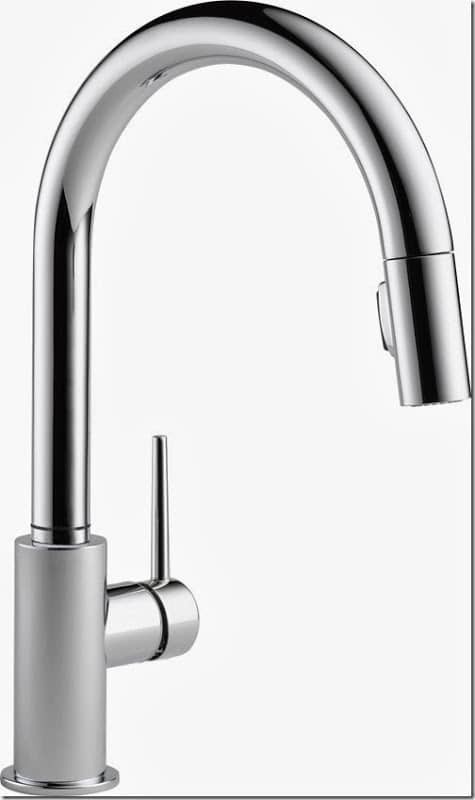 The faucet I chose is this gorgeous Trinsic Single Handle kitchen faucet with Touch2O Technology!! I love it’s beautiful clean lines and contemporary sleek style! I chose the gorgeous on-trend chrome finish, it really sparkles and shines! But what I love the most is the high tech factor of the Touch2O Technology! 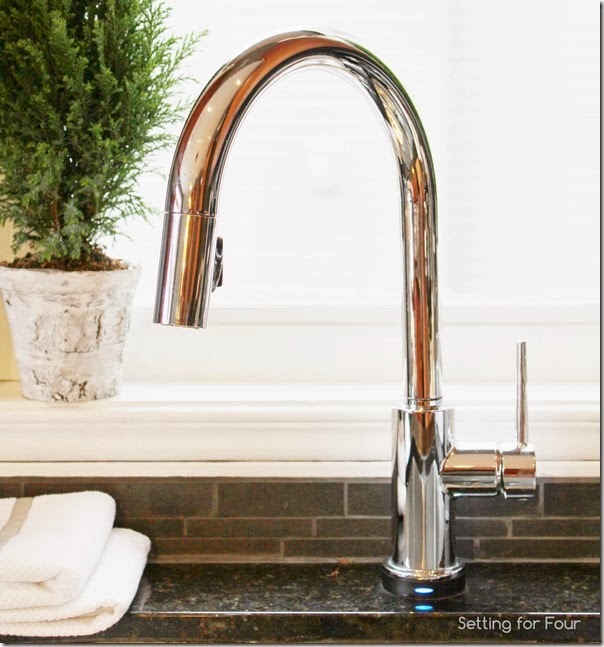 Touch2O Technology allows you to activate the flow of water with a simple tap anywhere on the faucet handle or spout; however the faucet can also be operated manually. So when my hands are covered in flour or I’m preparing meat, a simple tap with the back of my hand will turn the tap on and off! 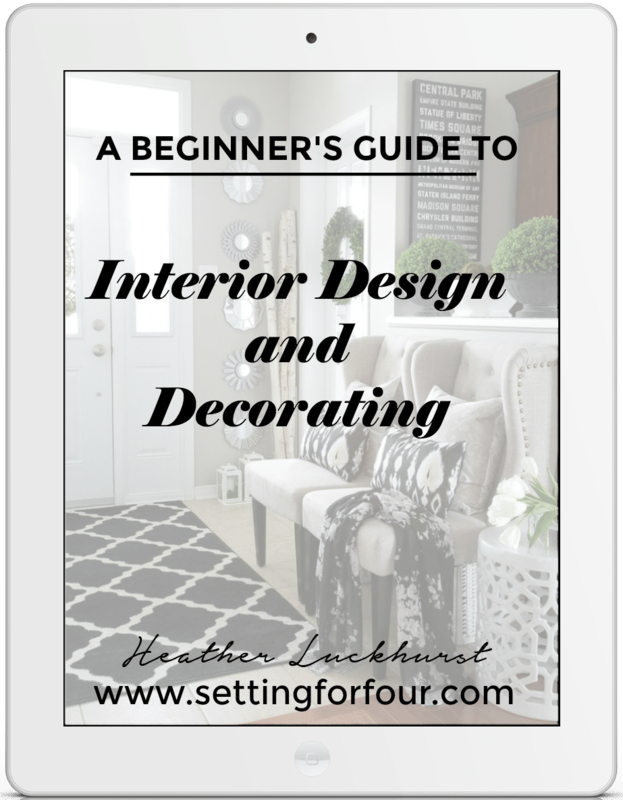 Also, the installation process is just like installing a regular pull-down faucet with an addition of one more component and a few easy-to-connect wires. Because the faucet works on batteries, there is no need to hire an electrician to assist with the installation. Even the batteries are included. This faucet is total luxury I am completely smitten with it! The pull-down spray head is so easy to use! Here again Delta has added innovative technology called MagnaTite® docking! 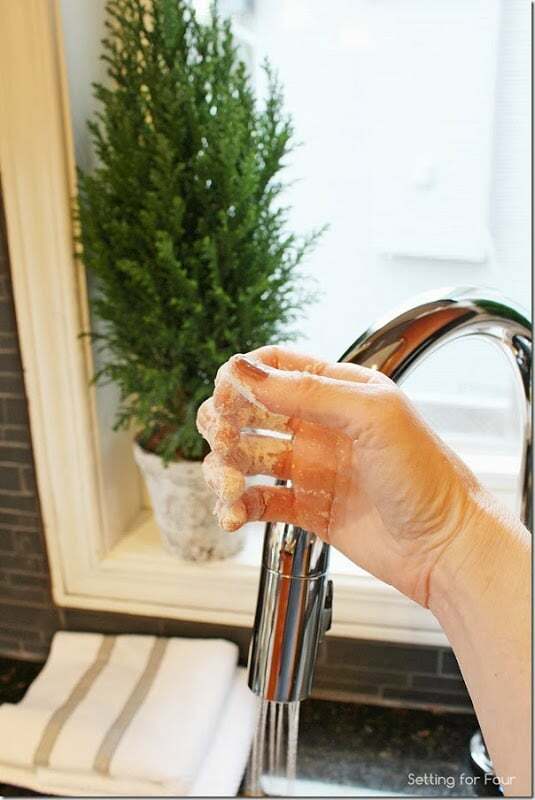 This docking mechanism easily engages the spray head to its docked position with a powerful magnet, helping to keep the faucet and kitchen looking neat and orderly. It’s so simple to pull down and lock back in place! 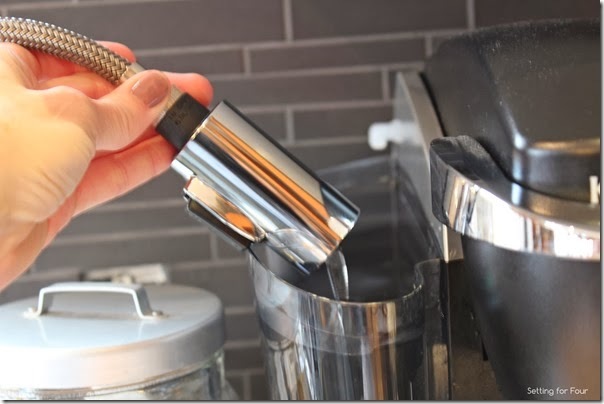 …and it’s easy to fill my coffee maker with water without having to remove the water reservoir! And guess what? This faucet has diamonds in it! Whaaaat?? I’m not kidding!! 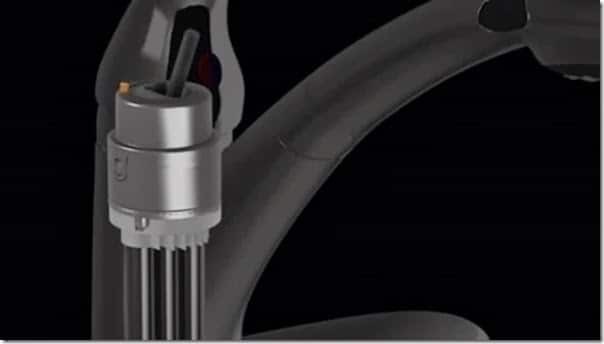 Delta has added a diamond-coated valve that lasts up to 10 times longer than industry standards and ensures “like new” operation for the life of the faucet. Wow! 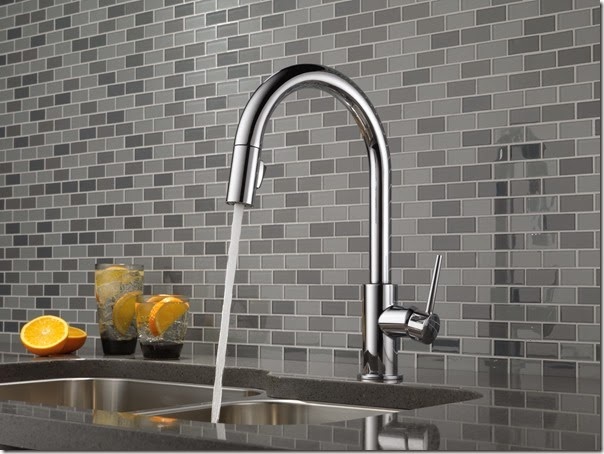 High style, convenience and function…this faucet is the ‘complete package’! The Trinsic faucet has such fabulous style and quality that it was chosen to be featured in the HGTV Dream Home 2013 on Kiawah Island, near Charleston, SC! 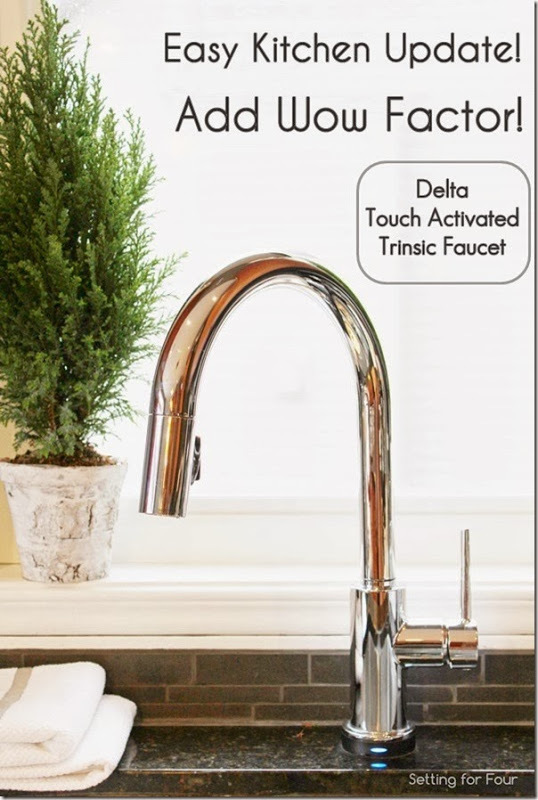 It’s no wonder that Delta is a worldwide leader in faucets and related accessories. 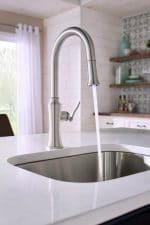 These faucets are the leading choice of North America’s builders and homeowners. I’m so excited because this is one big step in my kitchen update! 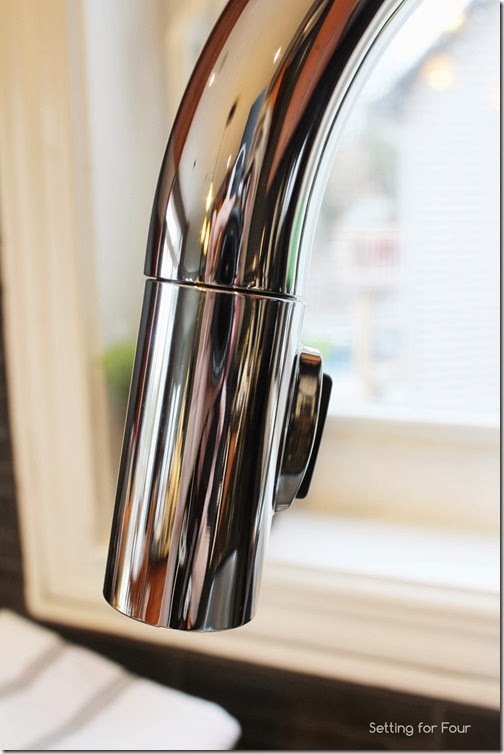 I received a Delta Faucet to review, but all opinions are 100% mine. 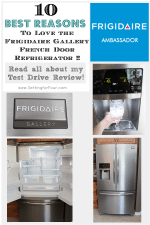 10 Best Reasons to Love the Frigidaire Gallery French Door Refrigerator! I’m so glad you’ll be looking at Delta’s faucets when it comes time to replace your’s!! The Trinsic is so functional and beautiful! Thanks Amanda!! 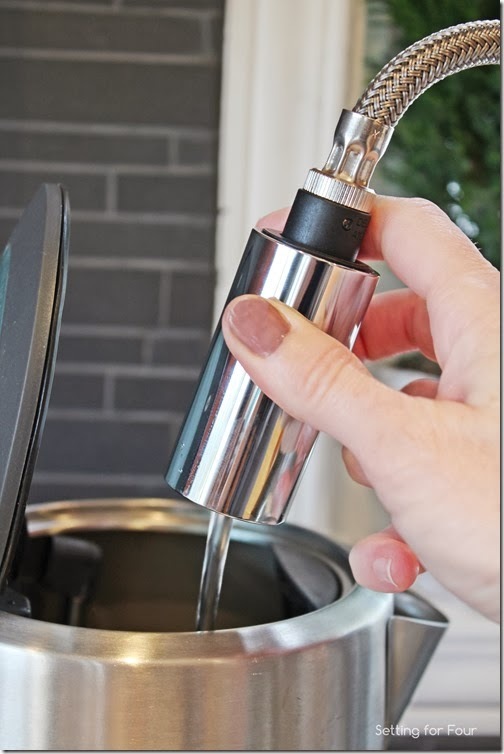 I agree – it’s not fun cleaning a tap when you’ve touched it with icky fingers! That is one sweet faucet and I love the touch feature! It looks beautiful in your kitchen! 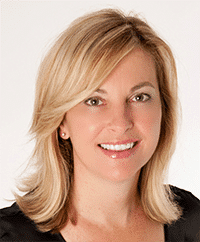 Thank you Jeanie for your thoughts on the Delta Trinsic – I love how beautiful it is too! 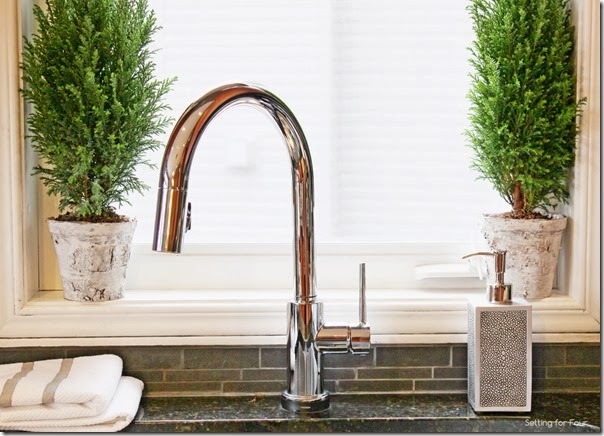 The touch faucet is such a cool idea … so perfect for a kitchen! Yours looks amazing! Thanks Randy! I’m so glad you like the touch-free feature too! Gorgeous and awesome!! I love the touch option!! I would love one of these in my house! Thanks Michelle for your lovely comments! The features of this tap really blow me away too! Gorgeous! This would be a fantastic addition to our kitchen! My hands are always covered in some goop or paint! That looks like a great faucet, love the touch-less feature! The technology is so amazing Heather! The touch-less feature really keeps it clean! Thanks Laura! It really has added tons of style to my kitchen!!! Thanks Rebecca – it really is amazing!!! It’s beautiful! I have the exact same faucet but in brushed bronze. I still need to install it though. You’ve encouraged me to get it done! Thanks Kim – you’ll love your Trinsic too, I’m sure!! 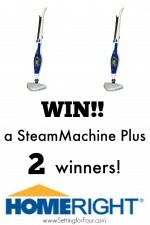 Thank you Kristin – I agree it’s fabulously good looking and the best part is how great and fun it is to use!!!! Looks gorgeous! Prettiest faucet ever! It really is pretty Malia – every time I walk into my kitchen there it is all shiny and gorgeous lol!!! Gorgeous faucet! And love that touch technology! I have the feeling it’s the kind of thing that once you try it, you never want to go back! Exactly Daniela – it’s so convenient and keeps my faucet nice and clean! Really beautiful! 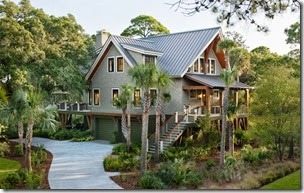 and that house is AMAZING! Pinned! I am loving the ‘hands free’ technology! I could really use a faucet like this in my kitchen. The sprayer hose is tattered and doesn’t fit well in the ‘dock’. Going to need to look into this for sure! Rachel you would love this faucet! The magnetic locking mechanism in this faucet allows it to dock so easily! Definitely look at Delta’s quality faucets when you go to replace your old one! 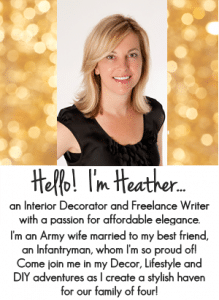 That faucet is gorgeous Heather! Love that touch technology too. Pinned! Thanks Maryann – I’m glad you like this faucet too! Don’t you love it when hi tech comes into our kitchens? What a beautiful facet! I would love something like that in my kitchen! It’s beautiful and so functional! I love things like that! I completely understand how you feel Meredith! I used to be a microbiologist so I get nervous about anything germy in my kitchen too! The beauty of this tap is that I’m not slathering meat juice all over it as I’m prepping meals! Agree: this faucet definitely has a wow factor! Thanks Laura – I’m glad you are wowed by it as well! Thanks for the helpful page, other helpful page I found is http://usemyreviews.com/kitchen-faucets/..